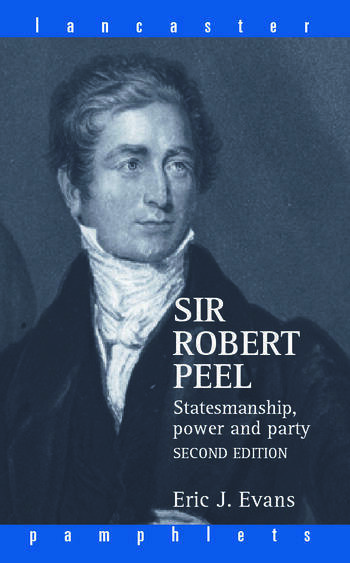 Sir Robert Peel provides an accessible and concise introduction to the life and career of one of the most political leaders of the nineteenth century. Perhaps best known for seeing through the Repeal of the Corn Laws, Peel had an enormous impact on political life of his age and beyond. Eric J. Evans reassesses Peel's career, arguing that although Peel's executive and administrative strengths were great, his arrogance, lack of empathy with the development of political parties and his inflexible commitment to economic liberalism presented political problems which he was incapable of solving. includes a glossary of key terms plus an updated and expanded bibliography, including listing useful websites. Sir Robert Peel is the perfect introduction for all students of nineteenth-century history. Eric J. Evans is Emeritus Professor of History at Lancaster University. His many books include The Great Reform Act of 1832 (2nd Edition, 1994), William Pitt the Younger (1999), Thatcher and Thatcherism (2nd Edition, 2004) and The Forging of the Modern State: Early Industrial Britain, 1783--1870 (3rd Edition, 2001).